Please Note: Maintenance-free refers to users not having to refill the terminals. The batteries must still be recharged periodically after use. AGM Deep Cycle Batteries have a much longer Cycle Life if they’re exhausted to a small degree and recharged, rather than exhausting all of their power and charging them all the way up again. Discharging below 11.8V can destroy the battery beyond repair. 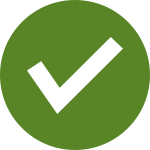 Ensure that the battery is recharged before it gets to this voltage. *Please Note: Maintenance-free refers to users not having to refill the terminals. The batteries must still be recharged periodically after use. X-Cell has entered the Aussie online market to make our lives easier, more comfortable and more sustainable. 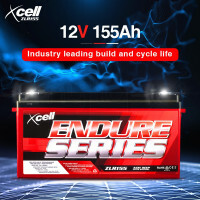 Aiming to promote cost efficiency, practicality and reliability, X-Cell has unveiled a premium line of high quality batteries that are truly useful in our daily lives. Whether for outdoor or indoor use, X-Cell has the right batteries to suit your needs. There's no need to bring bulky charge packs and messy cables during your trip. X-Cell Rechargeable Batteries will be enough to cover your simple power needs as they can easily be charged up through most USB ports. Efficiency will also not be a problem. As compared to disposable batteries available on the market, X-Cell ensures that these products could be reusable for up to 500 cycles. Going for a long ride? Have the power that your vehicle needs. The Portable X-Cell Deep Cycle Batteries are designed to be highly-resilient and to carry more power supply than other products. Worrying about running out of power? Superior than flooded batteries, X-Cell Batteries are more stable and could be charged up to 5x faster so you will be back in the road in no time. Maximise comfort during your outdoor trip. Check out the Portable Washing Machines, Heaters, Portable BBQs and other appliances at Mytopia that you can power up with these batteries. With long storage life, high sulfation resistance and notable low temperature performance, X-Cell Batteries can make these appliances work and help you have a relaxing outdoor time with your loved ones. What are you waiting for? Reasonably priced and with high quality features, X-Cell Batteries are portable, efficient and could surely be used for a long time. Purchase any of the X-Cell Batteries at Mytopia and get a 12-month warranty on us.